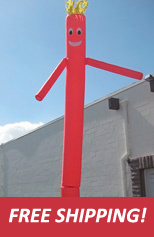 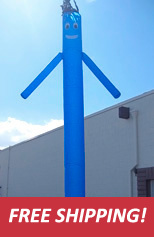 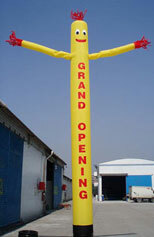 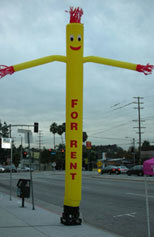 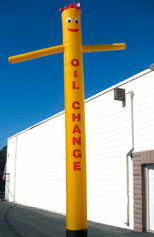 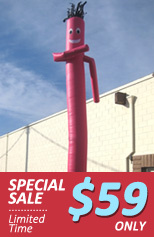 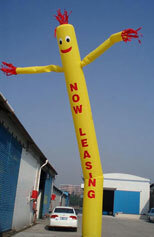 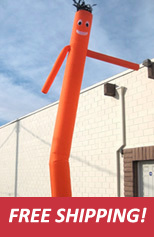 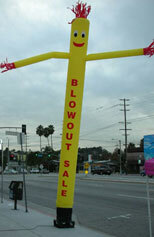 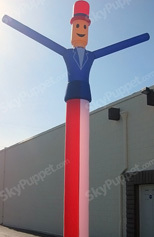 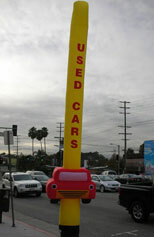 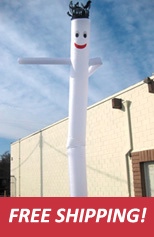 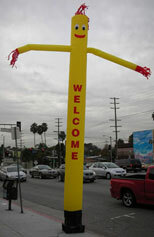 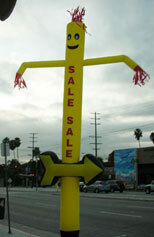 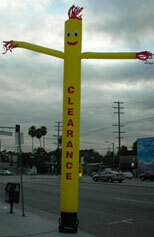 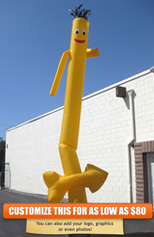 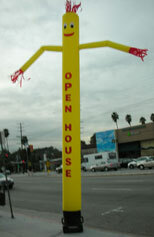 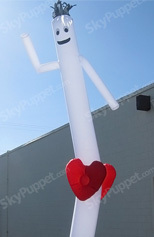 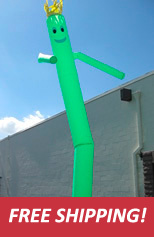 The Sky Puppets are designed to attract attention to your establishment or highlight on-going promotion. 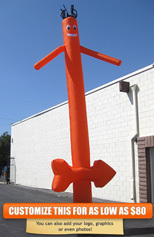 It is blown up to sway and dance in the air using a blower. 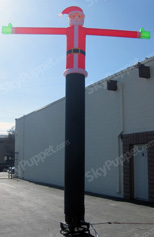 The sky puppet attaches on to the blower with a Velcro strap. 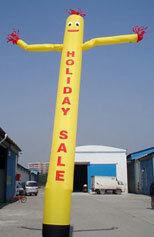 While in use, it is in constant motion, making it truly eye-catching and attention grabbing. 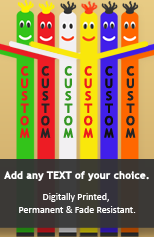 We also do customization (single or double sided) to provide you with a unique outdoor adverting that helps in increasing the visibility of your establishment. 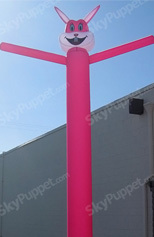 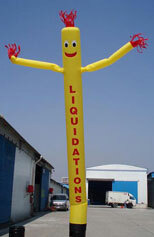 We can print your logo, catch phrase, artwork or even photos to the sky puppets. 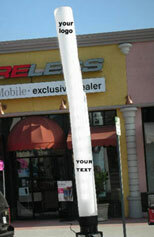 Can't see exactly what you need? 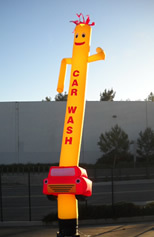 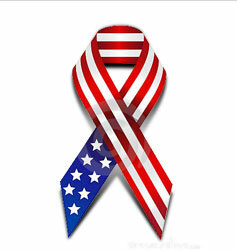 Have questions about a product or need more information before placing an order? 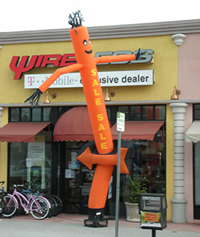 Call our knowledgeable Customer Service Team Monday-Friday 8:00 AM-5:30 PM Pacific Standard Time (PST) or contact us for more help. 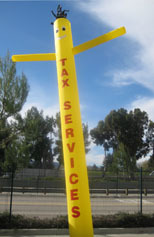 We offer great value for the money, excellent quality, fast efficient service and competitive prices & shipping rates. 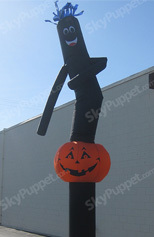 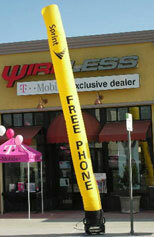 BOOST MOBILE Mix n' Match Sky Puppets - 20 Ft.
VERIZON Mix n' Match Sky Puppets - 20 Ft. 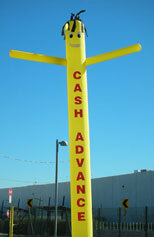 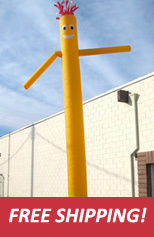 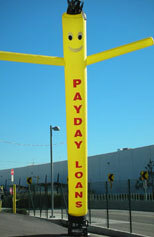 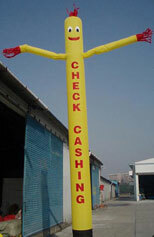 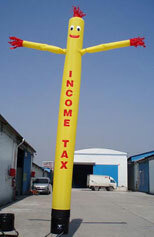 Check Cashing SkyPuppet - Yellow (Single-Sided) - 20 Ft.
Income Tax SkyPuppet - Yellow (Single-Sided) - 20 Ft.
Tax Services SkyPuppet - Yellow (Single-Sided) - 20 Ft.